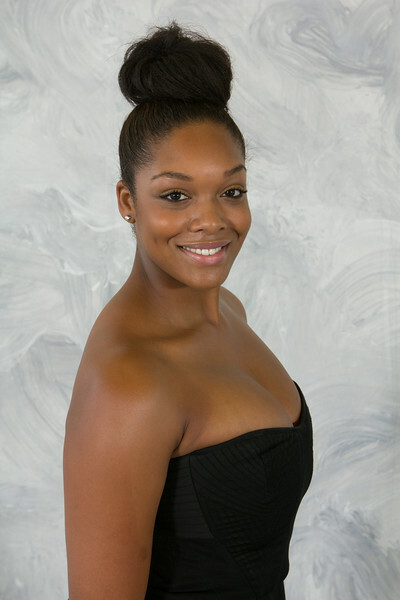 Brandee Nicole Price is a native Houstonian, alumni member of Exclamation Dance Company, now assistant rehearsal director. She started her dance training at the age of 4. By the age of 6 she started her next stage of formal training with Texas Tap Ensemble under the direction of Paula Hammons-Sloan specializing in tap, ballet, and musical theatre for 6 years. She joined Exclamation Dance Company in 2004 at the age of 13 under the artistic direction of Kenneth Epting. She then furthered her dance training at High School for the Performing and Visual Arts and Prairie View A&M University Marching Storm in 2007 (black fox) with founder/creative director Dr. Margaret Sherrod for 4 years. Some of her most accomplishments were being accepted into University of Oklahoma modern dance program, bronze medalist for the NAACP ACT-SO competition, and Alvin Ailey's summer intensive. Brandee's dance career and studies has given her the opportunity to work with well known choreographers such as Troy Powell, Joel Hall, Kirby Reed, and Eddy Ocampo just to name a few. She taught english and dance for NECAC summer program at Fleming Middle School, and choreographed praise dancing at church for 2 consecutive years. Throughout the years she has volunteered her time and many talents to different non-profit organizations in hopes of bettering the minds and bodies of future leaders and dancers.